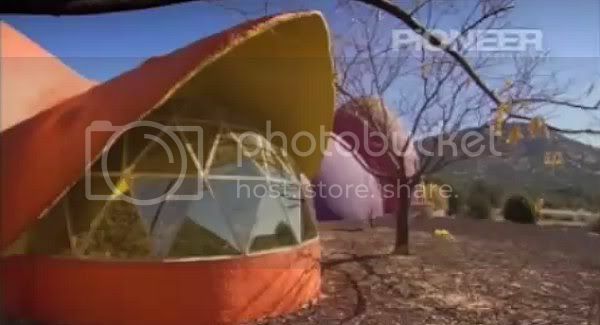 "The "Monolithic Domes" are Solid Concrete, Steel and Insulation and the shape of a Dome can withstand almost anything that mother nature throws at them. 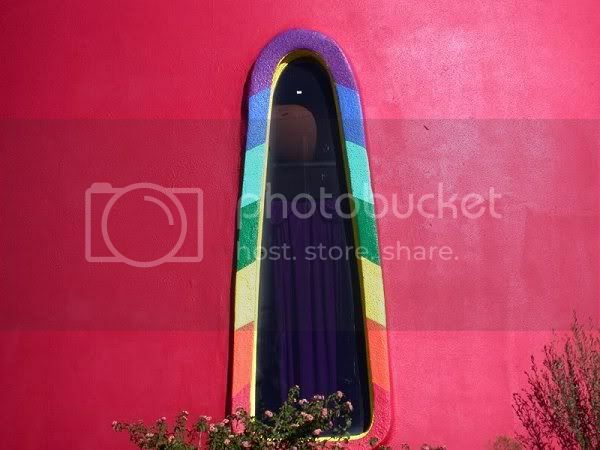 We painted Xanadu the colors of the Rainbow to attract attention and hopefully open up the eyes of the public and the government to rebuild homes and structures that will save lives and property. 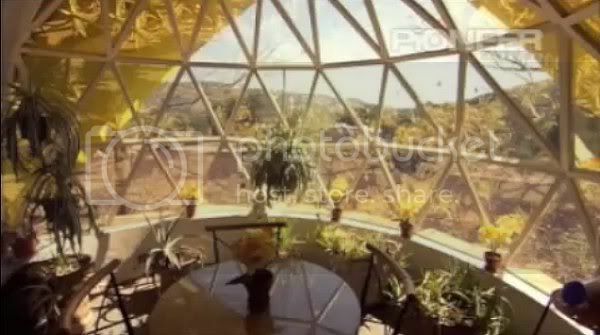 A Monolithic Dome Home uses about 1/2 of the energy of a conventional home, helping to save energy and in fact the energy savings will pay for your Dome Home in about 20 years."